A revitalizing treatment that prevents the symptoms of aging, using a combination of peptides, botanicals and antioxidants. This facial will encourage cell regeneration and skin cell repair. Immediate benefits include smooth, firms and tightens skin. Increases skin hydration with its moisturizing formulas leaving skin soft and glowing. 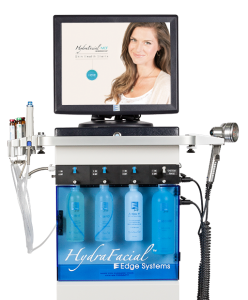 The award-winning HydraFacial MD® advances skin health by merging invigorating spa therapies with advanced medical technology. Maison Esthetique Christiane Bourque Spa now offers this technology that will cleanse, extract and hydrate the skin using super serums that promise immediate results. Ceanse & Peel:Through gentle exfoliation dead skin cells are removed to reveal a new layer of skin. Extract & Hydrate: Remove debris from pores with painless suction. Nourish with intense moisturizers that quench skin. Fuse & Protect: Saturate the skin’s surface with antioxidants and peptides to maximize your glow. I have finally found what I’m looking for on the North Shore! A quiet place where I can relax & feel pampered. I’m going for the experience, not just color on my toes. From my first phone call to book my appointment, to the tour of the facility at the end, everyone was very professional & personable. The atmosphere is very relaxing and warm. Albert checked us in, took our coats & offered us something to drink when we arrived. We waited just a few minutes in the very comfortable waiting area before being brought to another room to get our pedis. Rosie gave me a great pedicure with a nice foot massage. When we finished, she was kind enough to show us the massage & facial rooms. The facility is immaculate, quiet & oh, so relaxing. I am looking forward to trying their other services. Things they don’t have: TVs, loud music, & people chattering. I’ll be back! I’ve been to many different places but this is by far the best for a wax- the girl who did it was very funny and nice, and made the experience as pleasant as it could have been. This place is GORGEOUS inside, and caught me off guard (especially compared to the stretch of road it’s located on). Everyone was so welcoming and warm, and the price was not too bad considering the amazing job she did. Even though this is a bit of a hike for me to get to, it’s totally worth it. I was in for a Pumpkin Peel this week with Genna. Genna is so professional I have had her do my facials before and she does a awesome job! 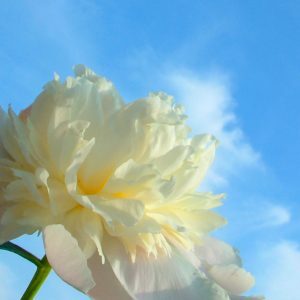 very relaxing !I brought my daughter for the first time and she loved her facial with teddy as well we end our visit with Pedicures 1 we had a wonderful afternoon at Maison Esthetique! Thank You very much! I just want to thank you for the wonderful make-up job that your staff did for my daughter, Katie's wedding on Saturday. The compliments that we all received was amazing. It really made her special day that much more fabulous. Microblading, also referred to as eyebrow embroidery, micro stroking or 3-D Brows, is the process of manually implanting color pigment beneath the surface of the skin by means of a tiny, sterile, disposable needle to produce the appearance of hair strokes. It is a technique to partially or fully camouflage missing eyebrow hair. The result is natural, beautiful eyebrows that are waterproof, smudge proof and simply gorgeous. The process begins with a discussion about the eyebrow shape and the color ink to match your facial coloring to create that completely natural look. Once the decision is made, careful measurements and symmetrical lines are drawn to make the outline of the brow. Within hours you can have full eyebrows again! The effect last up to 18 months at which time the pigment begins to fade, we recommend to get an annual touch up to keep them looking their best. It is normal to experience minimal swelling and tenderness immediately following your procedure. This usually subsides within and hour or two. The first week the pigment will appear darker than how it will appear once it has healed. At week two, the skin naturally exfoliates and sheds. A complimentary touch up after 4 weeks from initial visit will ensure the richness of color and density in the shape.